Happy Thanksgiving to you and yours! We had a wonderful time with my daughter Emily, her hubby Josh and their kids Charlotte and Evan. I overdid it on dinner -- whew, so many sides, so many pies! -- but we're now enjoying leftovers, yum!! Today, I was supposed to go to a Christmas card workshop at my friend Anita's house, but really, I just need time in my own craft room to focus on cards I need to make. Of course, I got few done because the mess is distracting. But maybe tomorrow .... if buying a new washer and dryer doesn't interfere. There's always something, isn't there?? 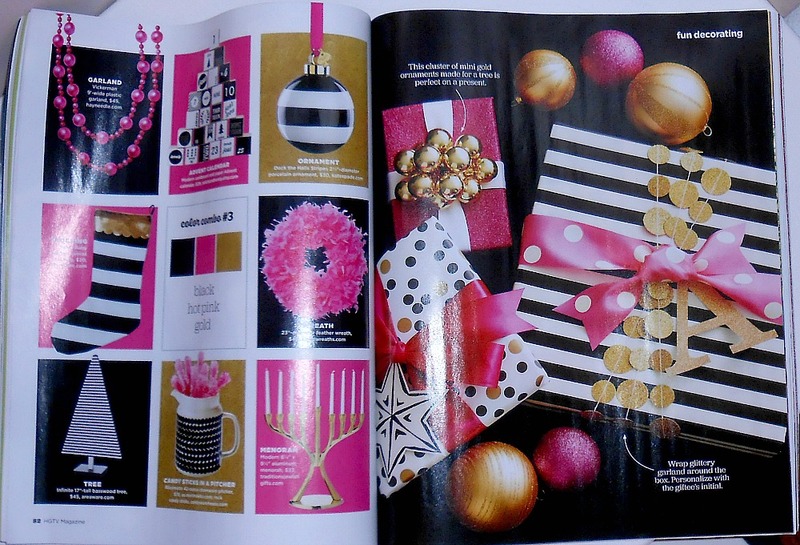 The trending colors are: Hot Pink, Gold and Black. 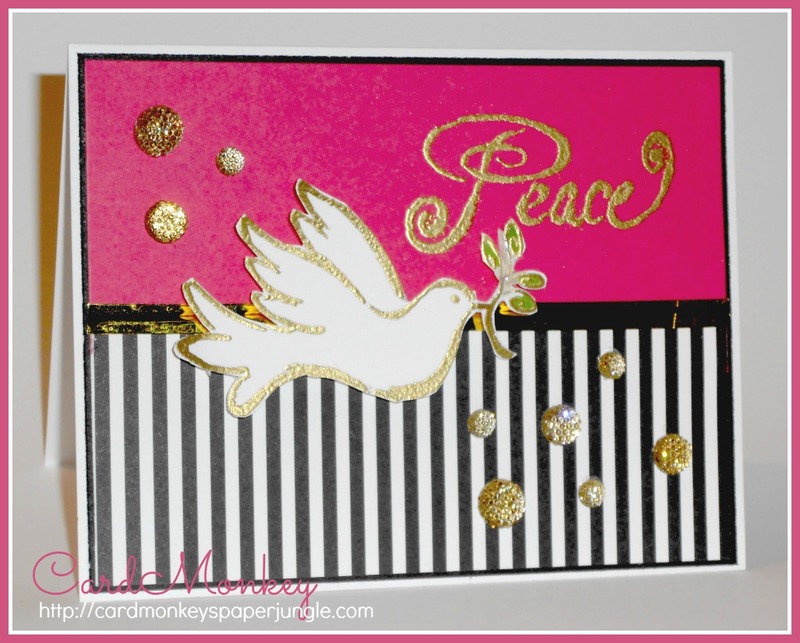 For this card, I used Close To My Heart's "Blessings of Peace" stamp set for the dove and sentiment. I stamped the dove on White Daisy CTMH cardstock in Versamark and sprinkled it with gold embossing powder. I then embossed it by warming the powder with my heat crafting gun. The hot pink paper is from my stash, and the black/white striped is from CTMH's new La-Vie En Rose paper line. The bling is also from CTMH, as is the gold adhesive stripe across the middle (that doesn't photograph well). Give Thanks -- for Thanksgiving!